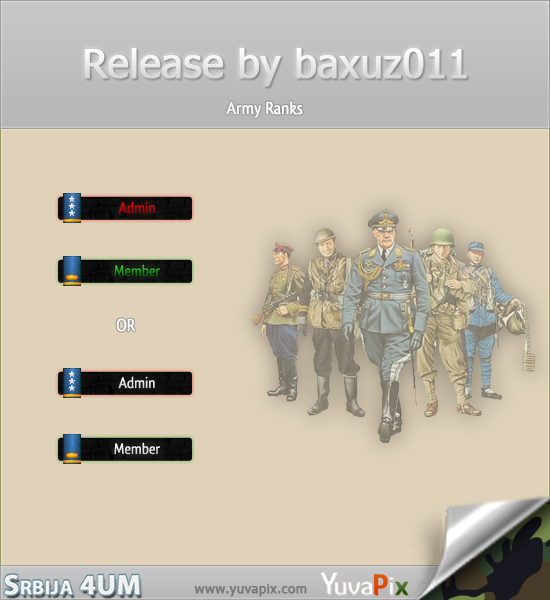 is a set of images for groups which will help you show you user Rank in a Army Style. This resolution of these images are 140 x 30 so that you can easily put them as your group images. These Rankings come in two variants, in color text and white text. The rank images has a glossy effect.